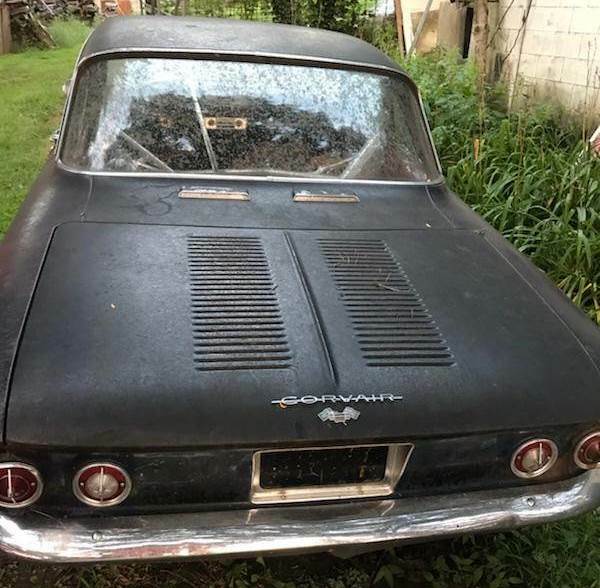 New member and new Corvair owner! Hello everyone! 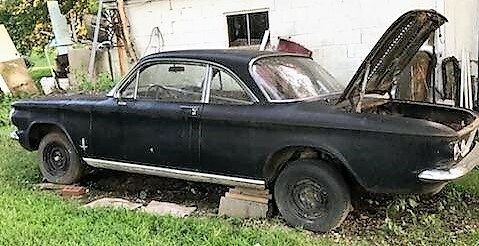 I am a recent owner of a '63 Monza Coupe. I joined here to find some body parts, and trim I need for it's restoration. I am also eager to be a sponge absorbing tips and knowledge about these unique vehicles. I have already bought all the manuals and catalogs I can find, joined the CORSA club, and even bought and read UNSAFE AT ANY SPEED! I plan on laying it in the seat when I later show the car. My car needs front floor pans, small body patches here and there to fix rust holes, but supposedly has a rebuilt engine (in the 80's) and runs good. It's an unmolested original at least, that still wears it's factory Tuxedo Black, with a red interior, and padded dash. It's an automatic car, and will get a ground up restoration. So if anyone knows of a rust free trunk lid, within driving distance of Fremont, NE. let me know. I am also looking for the stainless trim on the driver's door window surround (mine is bent up). 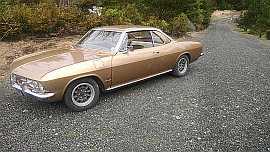 Re: New member and new Corvair owner! Shade's classic cars is in Nebraska and may be of assistance to you. smart joining the clubs as well as this group and doing your research. The only thing on a 63 that may be questionable is that was the only year that came equipped with a 3 plate oil cooler which was found to be totally inadequate. Again, welcome! Ask lots of questions and take pictures as you bring it closer to its former glory. 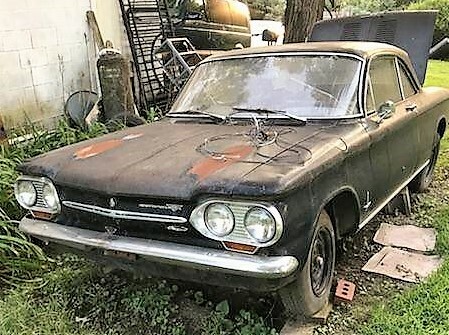 There is a guy in Muncy Indiana with a lot of Corvairs that may have stuff available- Mike McKeel. Also as Nick pointed out, Chris Shade is a good source and he is in Hastings. I have talked to Chris Shade many times, and he refuses to call me back, isn't sure what he has, and doesn't send photos of what he finds when he promises! I don't know if this is normal for him, or he just doesn't care for MY business? being married with 7 children, etc. he is with a lot on his plate. If you are close to him I would suggest just driving to his place of business. I also suggest using many of the vendors as 1 vendor cannot be everything. I know I use a number of our vendors and others on here do also. Club members are sometimes the best source we have. Welcome to the CCF! Looks like your best sources will be in Des Moines, IA area... lots parts there! 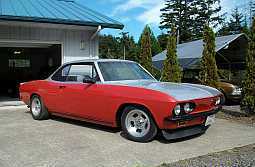 We have several members from the area..
Start a new Topic.... WTB: '63 Monza Hood. I have a decent rear engine hood, PM me pick it up no $ needed.